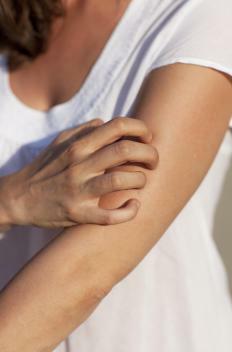 Very itchy, dry skin may be a sign of vulgaris psoriasis. People with psoriasis should see a dermatologist for treatment. Vulgaris psoriasis or common psoriasis is an autoimmune skin condition characterized by the formation of distinctive plaques of raised inflamed skin. This is the most common form of psoriasis, with around 80% to 90% of people with psoriasis having this form. The severity can vary and there are treatment options available to manage it, although it cannot be cured. The causes of psoriasis are not understood, although there may be genetic and environmental components. In vulgaris psoriasis, the skin cells grow and replace themselves more quickly than usual. This creates areas of inflamed reddened skin with a white to gray scale of dead skin covering the inflamed areas. The scale is crusty and rough and frequently flakes off, revealing raw skin underneath. If people pick or scratch at the plaques, they can spread and the patient may be prone to infections. The plaques can wax and wane in size and shape. Patients with vulgaris psoriasis have very itchy, dry skin. It can be extremely uncomfortable and large plaques can limit range of movement. Treatments involve the use of moisturizers to soften and soothe the skin while loosening the dead scale so that it can be easily removed. Topical anti-inflammatory medications can be used periodically for bad breakouts, although they are not designed for long term use. Other treatments can include baths, phototherapy, and treatment with a variety of medications that are designed to address the immunological roots of the condition. This skin disease is more common in women than men and is most frequently seen in people with light skin. It is not contagious and people are not in danger from being around people with vulgaris psoriasis or other forms of psoriasis. Often the plaques are not visible, as locations like the back tend to be favored. 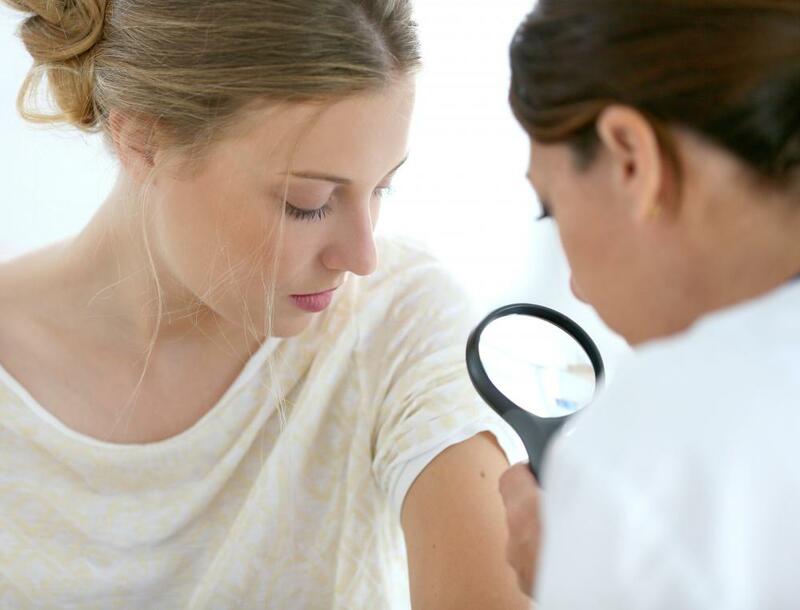 Patients with psoriasis can see a dermatologist and immunologist for treatment. These medical specialists can provide care customized to a patient's needs, as well as offering information about newly developed treatments, clinical trials, and other opportunities for psoriasis treatment. Vulgaris psoriasis is often diagnosed in people who are very young and it is advisable to regularly ask about new treatments, as research into this condition is ongoing. Some discoveries have been accidental in nature, with patients taking medications for reasons other than psoriasis and noticing that their skin clears up, and the body of knowledge about how this condition develops and can be treated is constantly growing. What is Psoriasis of the Liver? How do I Choose the Best Natural Psoriasis Treatments? How Effective is Turmeric for Psoriasis? What is the Best Psoriasis Diet? What are the Different Types of Nail Psoriasis Treatments?